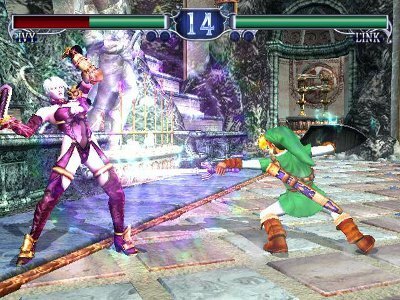 Could SoulCalibur come back to Nintendo via the Wii 2? A SoulCalibur game hasn’t been on a Nintendo console since SoulCalibur II released on the Nintendo GameCube, PS2 and Xbox in 2003 (Legends doesn’t count). The GameCube version of the fighting game has the highest Game Ranking of all the versions. This was at a time when a multi platform release of a game didn’t mean Nintendo got a dumbed down version. SoulCalibur II went on to be a GameCube classic, receiving positive reviews and even making it into IGN’s top 25 GameCube games. Unfortunately, when the next generation of consoles rolled around, the Nintendo Wii was left out of a version of SoulCalibur IV in favour of the Xbox 360 and the PS3. SoulCalibur V was recently announced by Namco at a press event in Dubai. It is confirmed to be making its way to the Xbox 360 and the PS3 in 2012. But what about the Wii 2? The Wii 2 is rumoured to have graphics either on par or beyond that of the PS3/360. This would suggest that the Wii 2 would be capable of handling a next generation SoulCalibur game. It is slated for 2012 release which puts it neatly in the year that the Wii 2 is scheduled to come out. This is all speculation and it doesn’t mean that any game released in 2012 is coming to the Wii 2 but it is a possibility. Namco Bandai mentioned that more info about the game will be released at E3. So what do you think? Will SoulCalibur find its way back to Nintendo? Oh please let it come true. SC was one of my favourite GC games. If it does happen Link better be in it again. Absolutely a good possibility. Its totally feasible to say it could happen. After all, Soul Calibur 2 for the Cube dominated the charts for weeks. I’m sure Namco will if it can. I would also like to see Mortal Kombat on Project Cafe since the series has just made a glorious comeback. Soul Calibur 2 on the gamecube was way better then the PS2 and Xbox version (cause it had Link). If Namco made a Soul Calibur game on the Wii U, Bring back Link (and having Ganondorf and possible Sheik and Zelda), having Zelda stages (Hyrule Castle, Ganon Tower, Great Deku Tree, Sky Temple and more from theZzelda series) this will be on the Nintendo fans to buy list. It was sad that Soul Calibur 4 wasn’t on the Wii because the game was a blast and making this game with Hi-res (HD) graphics it be one Nintendo best game ever.